Did you know that William Wordsworth and his sister Dorothy started a craze for picnicking that has lasted over two hundred years? 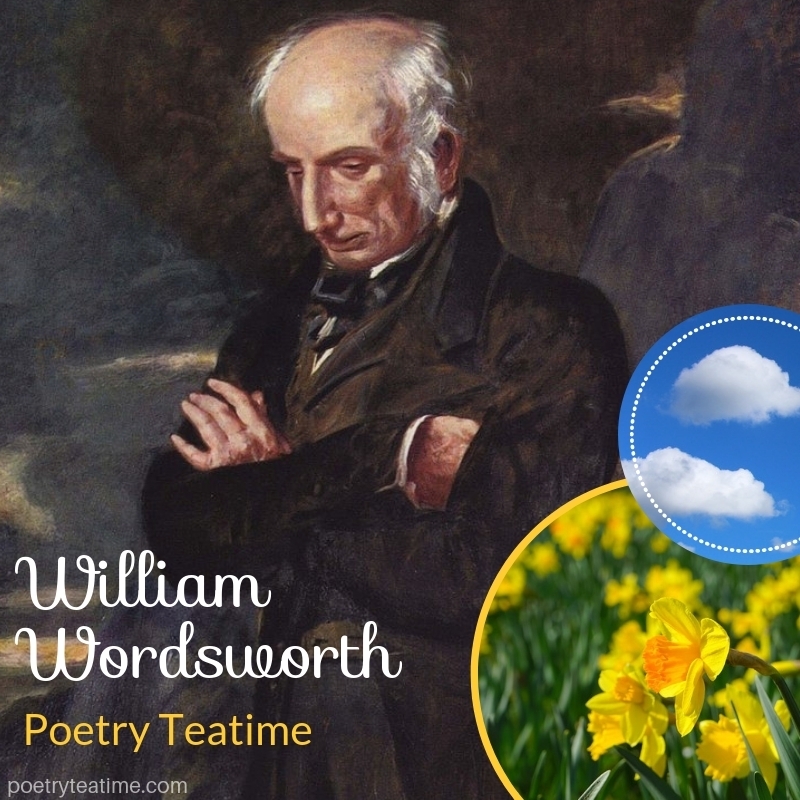 So go ahead and pack your picnic basket, grab some poems, and get ready to enjoy the delights of nature in today’s William Wordsworth Poetry Teatime. William Wordsworth was one of the most famous poets of the Romantic Era, which lasted from about 1800–1830. He believed that poetry should be written in the everyday language that ordinary people used, not fancy Medieval-sounding words. For Wordsworth, poetry was “the spontaneous overflow of powerful feelings” that were “recollected in tranquility.” He believed that nature would provoke these powerful feelings that became poetry, so he went on long walks with his sister around their country home in Rydal Mount. When he returned to the house, he and his sister would write poems or journal entries about what they’d seen. Do you agree with Wordsworth’s definition of poetry? How would you define poetry for yourself? 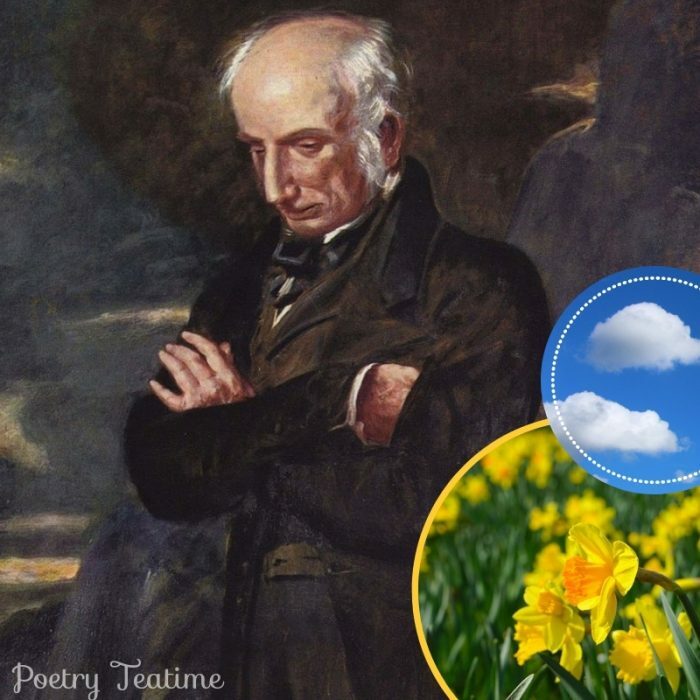 You may be familiar with Wordsworth’s springtime poem about daffodils that begins “I wandered lonely as a cloud.” Wordsworth writes about life in the countryside in all seasons, including poems about ice-skating in the winter and catching leaves in the fall. Here’s one of his most playful poems. Sporting with the leaves that fall! —But the kitten how she starts! Now they stop and there are none. In her up-turned eye of fire! Try acting this poem out and using different voices as you read. Can’t you imagine the kitten leaping and dashing after leaves? Wordsworth beautifully captures the fun of leaf-collecting and the playful power of the kitten. 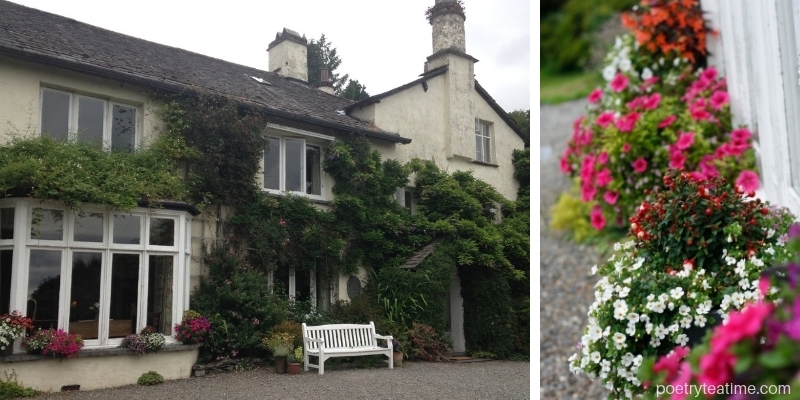 One of our staff writers, Kyriana, took a trip this summer to Wordsworth’s home in the Lake District in England. She says she can imagine why Wordsworth was so inspired by the landscape around him. Every view has another beautiful mountain, lake, or flower to be seen! In honor of Wordsworth, why not make your teatime a picnic? Pack a basket with a thermos of hot cocoa or tea and some treats, then wander through the woods or to a nearby park and read poetry together. Check out this list of easy teatime sandwiches for a perfect snack to bring with you. 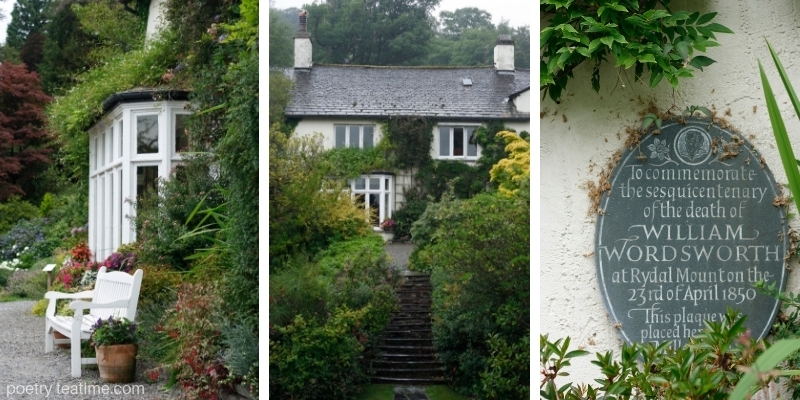 You’ll be celebrating poetry just like Wordsworth did two hundred years ago!